Although we planted four pumpkin plants (one jack-o-lantern and three pie), only one plant survived and only one solitary pumpkin on that plant thrived. 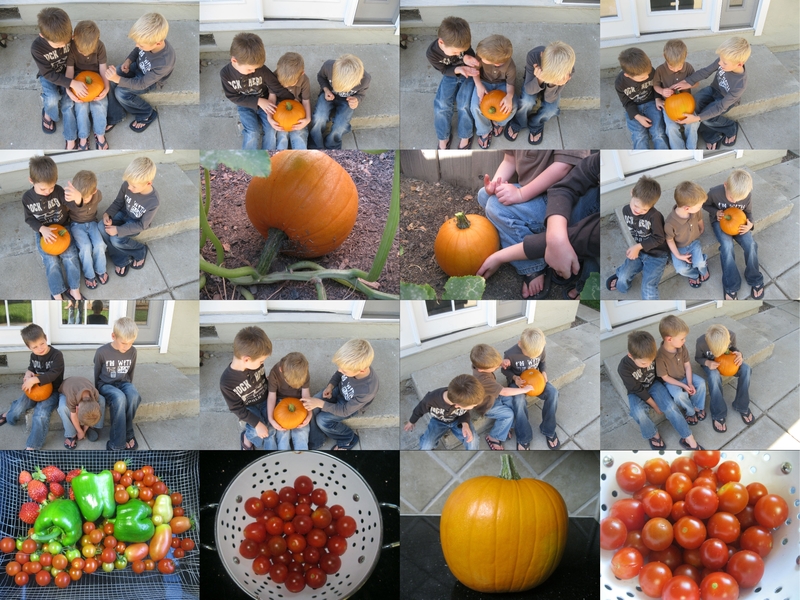 As pictured above, the boys had quite the time trying to decide just who that one pumpkin belonged to; in the end, I took possession of it for cooking purposes. It was just a medium-small jack-o-lantern pumpkin, but we made the most of it, and it yielded pumpkin cream sauce (over ravioli), a pumpkin roll, baked pumpkin seeds (for an Autumn salad), and two pumpkin pies. Surely, just one pumpkin for the season wouldn’t do, so we bought many more and made: more pumpkin rolls (x2); pumpkin soup (x2); pumpkin muffins (x2), pumpkin bread (a lot); pumpkin smoothies (look forward to the recipe in a later post), pumpkin ice cream (recipe here); pumpkin cookies (many). And I still have FIVE pumpkins to cook through! It’s a darn good thing I love pumpkin, and my family does too! 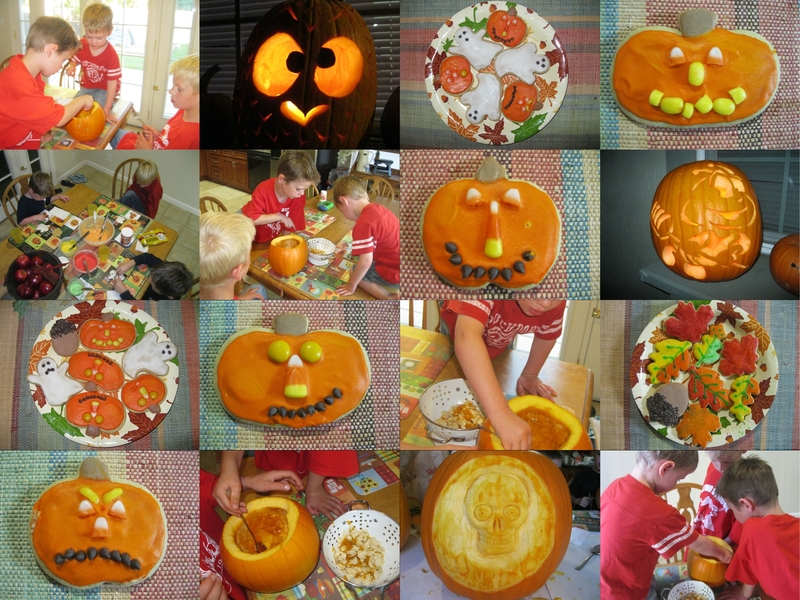 Cleaning out pumpkins for cooking and carving, sugar cookie decorating…the pictures say it all. There has been a lot of running and racing in this family of late. I kicked it off for the season with the St. George Marathon in early October (a long overdue post probably to come…), which didn’t go as well as I had hoped, but I followed it up with three PRs (personal records) in three different distances, so I’m feeling great regardless. I had my boys “training” whenever we went to the park. I registered them for two races this season (at their insistence, mind you). 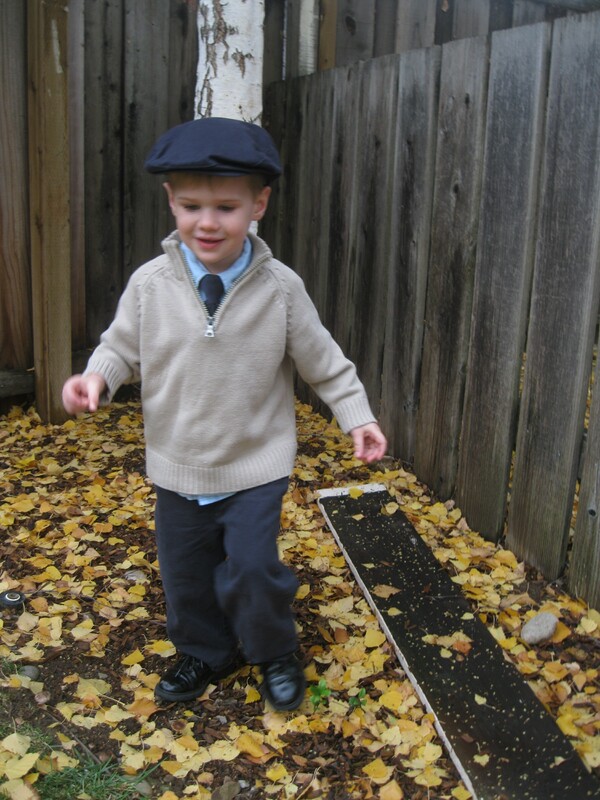 I want for them to learn while they are young that running is fun and doable. I don’t want them getting to their first “mile” in middle school P.E. and having a dreadful experience, as I did. I don’t want them to have a preconceived notion that running is too hard and horrible, as I did. I want them to remember that they RAN their first mile when they were only 5 and 7 (in a race last June), and that they did GREAT! They will decide on their own if they really like running; my objective is to simply keep them from hating running. So far, they love it…or at least the racing aspect of it. The first race they were to run was in conjunction with my half marathon, and they were supposed to wear their Halloween costumes. They were SO excited, but unfortunately it was canceled as the vineyard they were to run through was too muddy and rocky. No matter, their dad and I took them to a deserted stretch of road near the vineyard and had them run a quick point to point race from him to me. It was a short and spontaneous substitute, but at least they felt like they got to run their race and that they earned their medals. 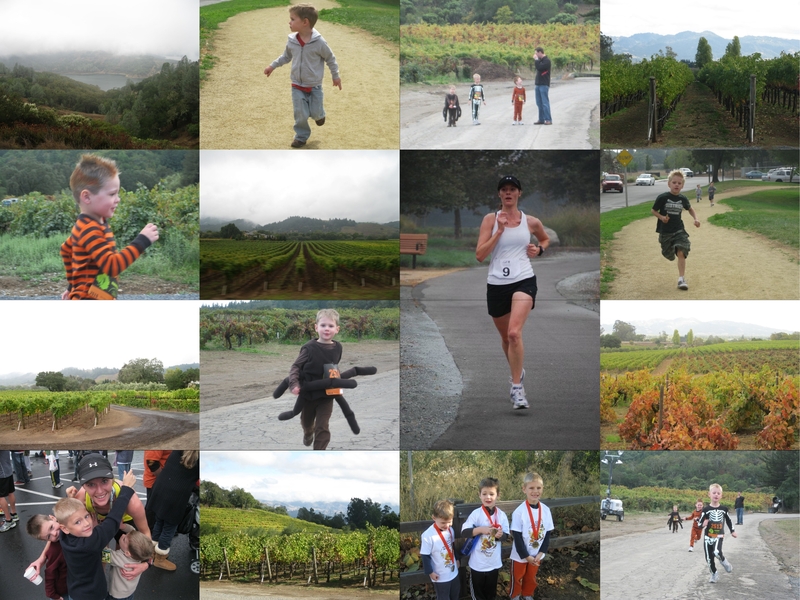 The second race was a Turkey Trot on Thanksgiving that the whole family (even Dad, 5K) participated in. The 10K Turkey Trot was the easiest course of the three, the only problem being the thick crowd of runners to navigate through (nearly 15,000 runners between the 5K and 10K, which partially shared a course..holy cow that’s a HUGE field!) The local 5K was actually a very poor course, and I think I could have run it faster had the course been one good loop or a straight way out and back. Instead, it was two laps of a really weird loop, with short out and backs included and far too many turns, some particularly sharp ones. For a short race that is meant to be run fast, this course was NOT helpful…I felt like every time I gained some good momentum I had to slow way down to make a turn without taking a spill, and I had to focus far too much on simply making sure I stayed on the course, period. The half marathon was hands down the most beautiful California race I have run thus far…picturesque, as in post card/calendar worthy. It began at a really cool winery and wound it’s way along this old rural road that took us past 23 family owned wineries, ending at Lake Sonoma Receration Area. The weather was perfect, and the course was nice…neither difficult nor easy, with gently rolling hills the entire way. I LOVED this event. 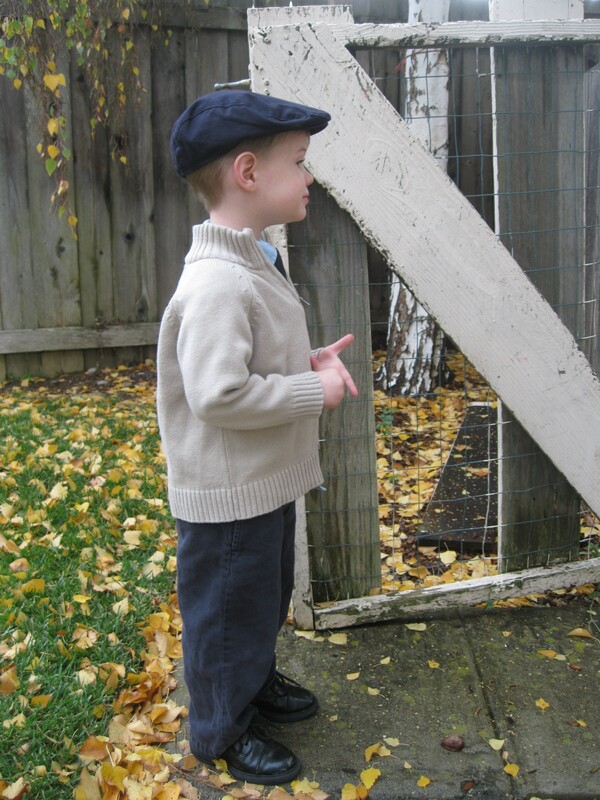 Our three-year-old was having a very hard time at first with his two older brothers starting school and leaving him behind during the day. Soon though, he discovered that being the lone kid home does have some good perks. One (unfortunately hot) September day his dad had the morning off work, so we took him for a hike up a local iconic mountain…sans the brothers. He loved having both Mom and Dad to himself for such an outing, and he still talks about hiking up that mountain with us whenever he spots in out the car window. 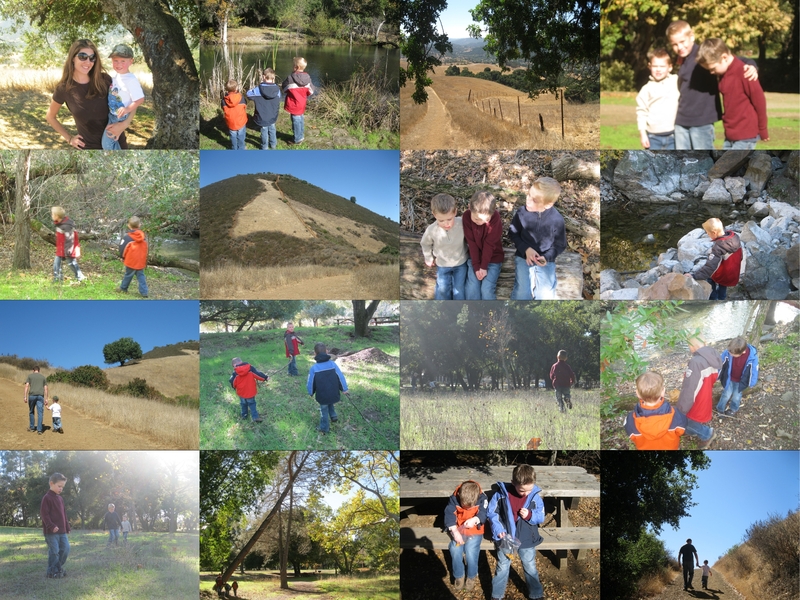 I took all three boys to a nearby creek/recreation area for some easy hiking and great exploring the day before Thanksgiving. 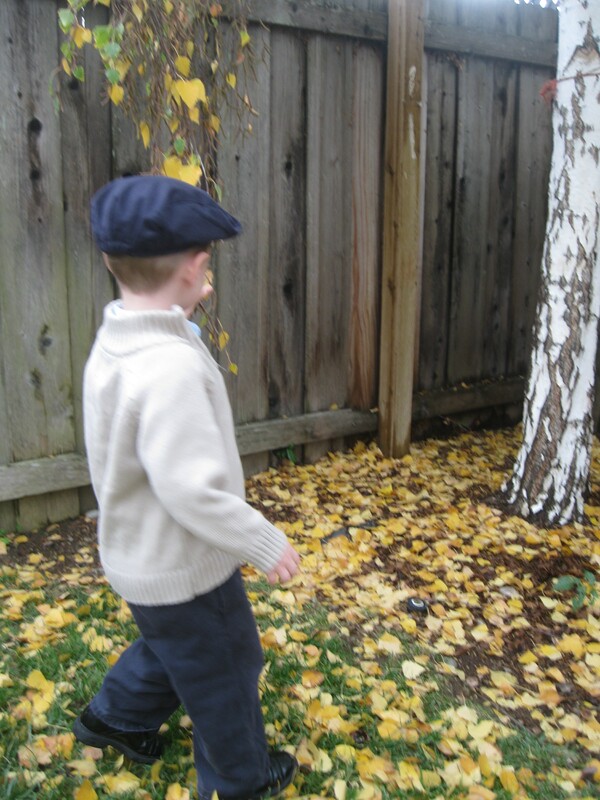 One thing about boys I know: they love to be outside where they have plenty of space to run and explore. Enjoyed the fall recap! That’s what I need to do on my blog – I’m so far behind. I’m impressed with the sugar cookies – ours never look that good! Thanks…those were the cookies that I decorated of course. The boys’ creations didn’t look quite as nice :). Yes, you should do some catch up on your blog too! Congrats on the run! I am so impressed that you can eat such delicious pumpkin dishes and stay in such great shape.